Superbia in Proelio – just about every Manchester City fan can master at least the one Latin phrase – Pride in Battle. 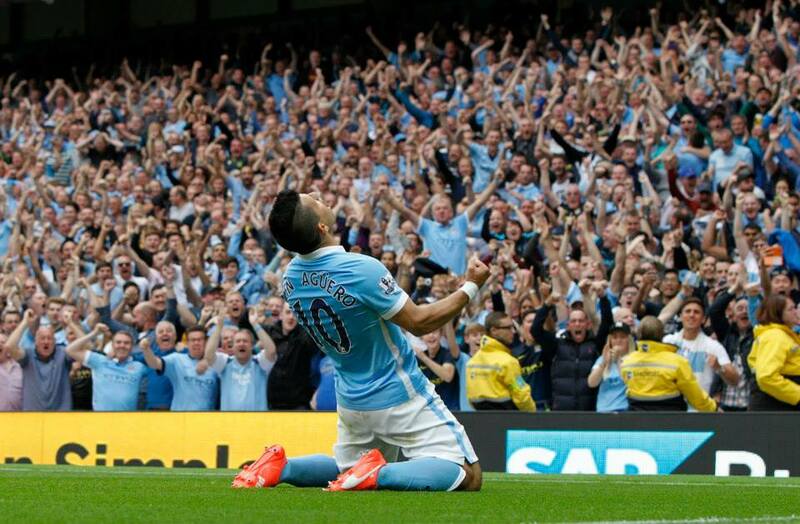 Perfect 10 – City are top of the league with a 100% record – nice in any language. On the basis of a sizzling summer of transfer deals, maybe City fans should add another to their bi-lingual repertoire – Professionales in Negotium – Professional in Business. While Chelsea’s Roman roubles were falling on stony ground at Goodison Park, Arsenal were restricting themselves to just one £11m cheque for Cech and Manchester United and Real Madrid were behaving like spoilt brats in the David De Gea blame game, Manchester City were quietly and efficiently, sealing an array of high quality deals. 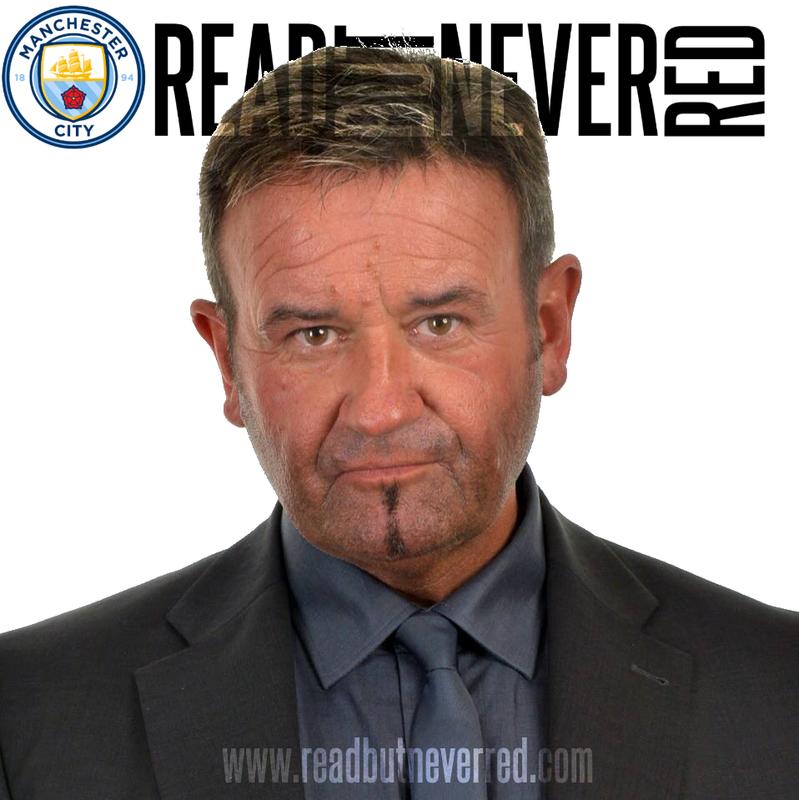 As other clubs scurried in an unseemly transfer deadline day scramble, having seen their arrogance earlier in the ‘window’ backfire, City were serenely absent from the last minute wheeling and dealing. With Manuel Pellegrini’s team sitting aloft the Premier League with the only 100% record after four games, and coming off the back of a club record 10/10 league wins on the spin, City emerged as the perceived big winners in the summer market. 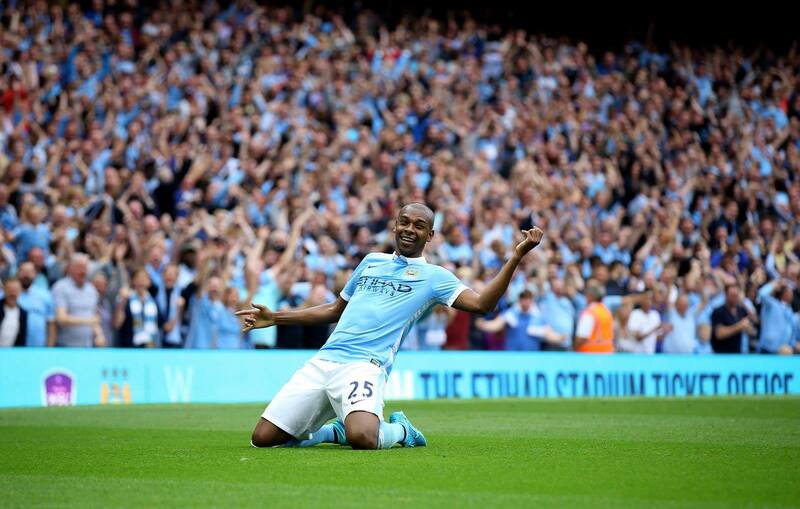 Dino seals the points – a rejuvenated Fernandinho iced the 2-0 win over Watford. The stellar acquisitions of Raheem Sterling, Kevin De Bruyne and Nicolas Otamendi have instilled a heady mixture of speed, creativity, guile and steel into a squad that was already looking the part. City broke their previous record transfer spend twice in the summer and are set fair to reap rich dividends, with Sterling and KDB combining with Aguero and Silva in a sumptuous attacking formation. A distasteful character assassination of Sterling – fuelled by ex-Liverpool players outraged that the 20-year old England international had the temerity to leave Anfield – has been extinguished thanks to his contribution to City’s flying start. Even the protracted process to bring KDB – the Bundesliga’s Player of the Year – to the Etihad was conducted with dignity and decorum – unlike Jose Mourinho’s sour utterances on the 24-year old Belgian playmaker and goal-taker. Maureen’s bilious comments are in keeping with the ‘Special Needs One’s’ delusional behaviour this season following his spat with the lovely Dr Eva, City’s ‘fake’ win over Chelsea, the ‘undeserved’ red cards for his keeper and captain, not forgetting his abject failures in the transfer market. 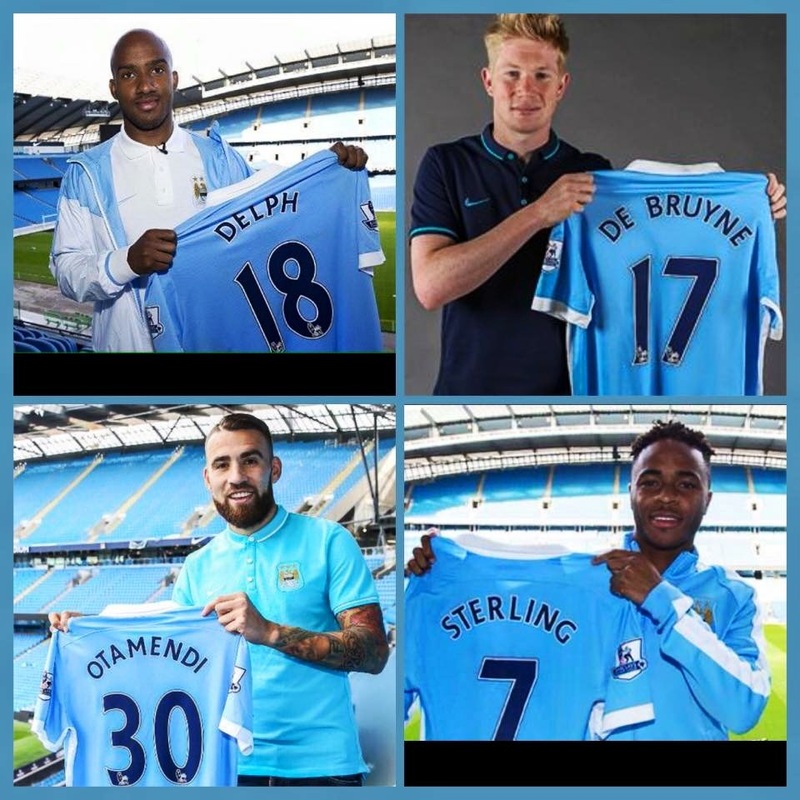 Tying up the deals – City’s Director of Football Txiki Begiristain has clinched the biggest transfers of the summer. 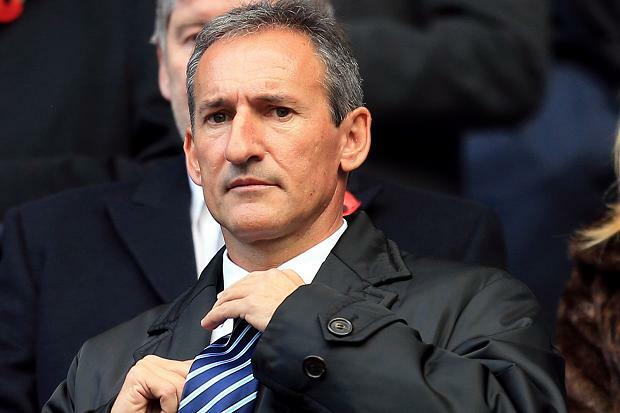 By contrast City’s Director of Football, Txiki Begiristain, is now having his ‘time in the sun’ after the club’s most productive transfer dealings since 2011, and the arrival of a certain Sergio Aguero. Much heralded from his time at Barcelona, spearheading player acquisitions with Pep Guardiola, Txiki was on borrowed time – at least in the eyes of many City fans – having somewhat underwhelmed in five previous transfer windows. Even now, he can only be judged by how City go on to perform in the wake of the approximate £150m spend, but on face value, Begiristain has bagged some class acts for now and the future. At just £8m and still only 25-years old, Fabian Delph is destined to be so much more than the ‘bit part’ ‘benchwarmer’ that the media would have us believe. He could well emerge as a very shrewd purchase way beyond that of simply fulfilling ‘homegrown’ quotas. 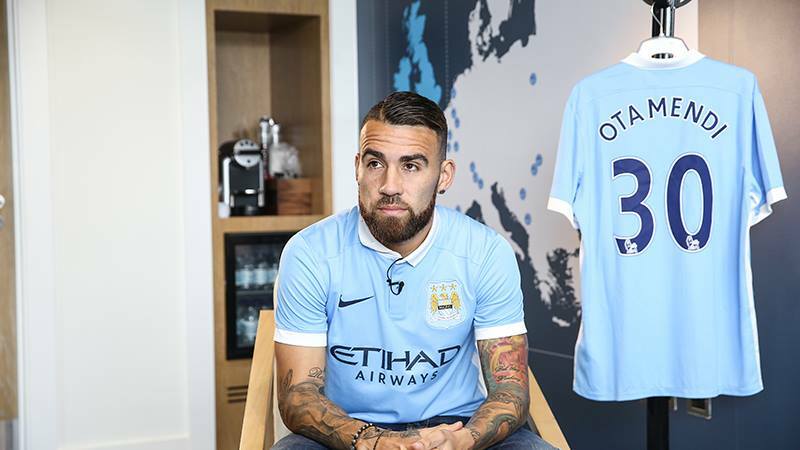 Argentine centre back Otamendi brings a wealth of experience and know-how to City, and at just 27 years, is the oldest of City quartet of key incomings. 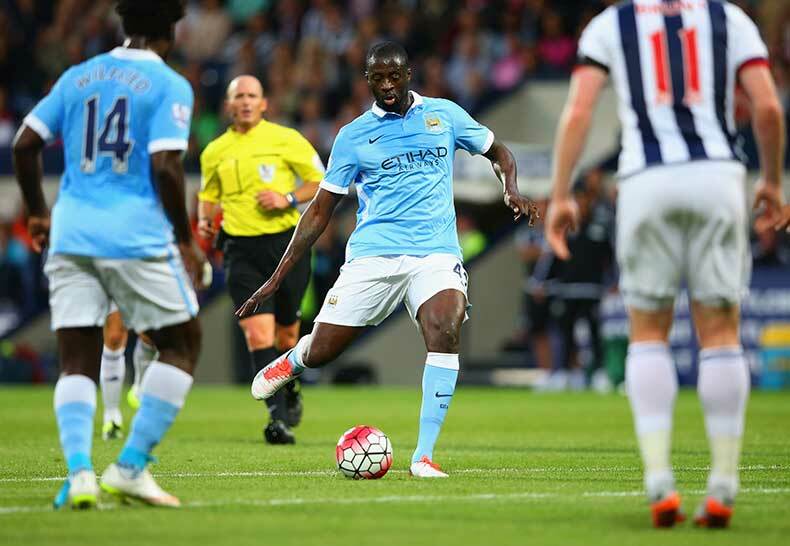 Eliaquim Mangala – despite his excellent start to the season – will be under pressure to hang on to his starting berth. Not only have City recruited top quality, they have also reduced the average age of what was often the oldest starting XI in the Premier League last season. Txiki has also been prominent in planning ahead, signing four bright prospects who could be pushing for a place in the first team squad in the coming years. 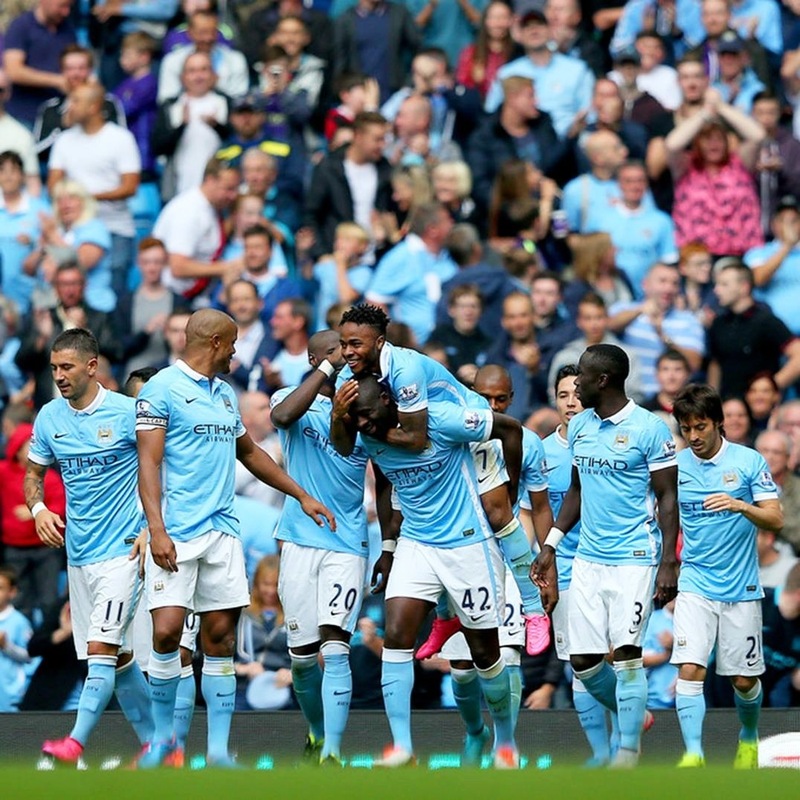 4×4 – This quartet should help drive City all the way to a 3rd Premier League title in 5 years. Patrick Roberts from Fulham, Aleix Garcia from Villarreal, Enes Unal from Bursaspor and David Faupala from RC Lens, could figure among the next generation of flair players to adorn the Etihad. Up & Coming – Patrick Roberts made his debut at the Etihad…but playing for Fulham at the time. Young Nigerian striker Kelechi Iheanacho made his PL debut off the bench in the 2-0 win over Watford, and, clearly Pellegrini has faith that the 18-year can bring something to the party this season. The loan to Galatasaray of Jason Denayer and the permanent moves to Monaco and Almeria of Marcos Lopes and Jose Angel Pozo, had some fans bemoaning the lack of Academy ‘products’ breaking through, even to the extent of questioning the worth of the £200m+ CFA. 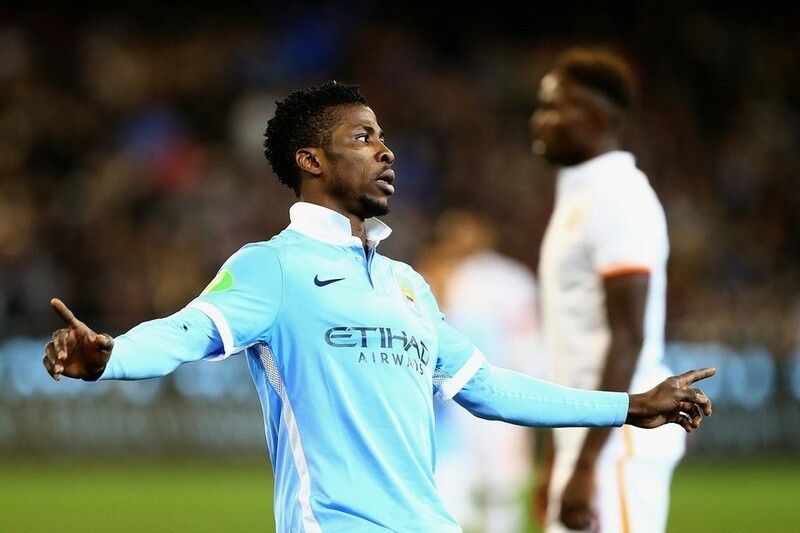 Youth gets it chance – 18-year old Kelechi Iheanacho made his senior debut as a sub against Watford. It’s not a view held by one of Manchester City’s biggest critics – Bayern Munich President Karl-Heinz Rummenigge. Rummenigge has consistently sniped at the Etihad hierarchy since the Abu Dhabi riches flowed in, acutely aware that City threatened to break up the cartel of established European powers. As a prime mover and shaker in supporting UEFA’s Financial Fair Play rules, Karl-Heinz and some of his criminal colleagues at the Allianz Arena, have been vocal in backing any measures to suppress City’s rise to prominence. Head scratcher – Karl Heinz Rummenigge and his Euro cartel cronies are running out of ways to stop City’s rise. 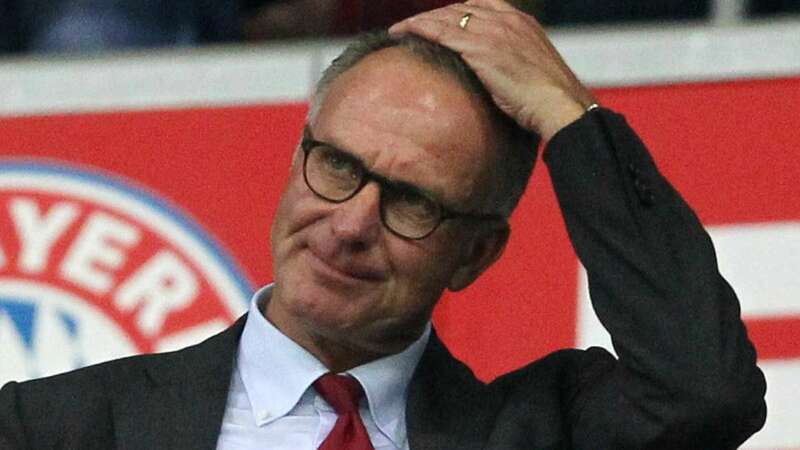 Is the arrogant Bayern boss trying to get onside before FFP is neutered by the European Court, or is he getting his excuses in early if German club football is to be left in the wake of the riches and investment of the Premier League’s elite? Kevin De Bruyne snubbed Bayern Munich, PSG and none other than Manchester United, to come to the Etihad in the biggest deal of the summer. They’ve only played 360 minutes of PL football and already, City have reversed the eight point deficit Chelsea held at the end of last season. Unfortunately, titles aren’t won by the end of August. Players who’d looked jaded, almost de-motivated, for long periods are sharp and hungry to right the individual and collective wrongs of 2014/15. There’s no World Cup hangover, no African Cup of Nations and no sulking squad members. Pellegrini has injected a fiery competitive spirit into his squad, along with fluid formations a million miles removed from the stodge and predictability of his previously preferred 4-4-2. City’s detractors –make no mistake they’re out there willing and waiting for the Sky Blues to slip up – are having to stomach humble pie…for now. With the transfer window now closed and tedious talk of ‘net spends’ dulled, City fans are focused on nets of a different kind – watching those of their opponents bulge, quiver and ripple! 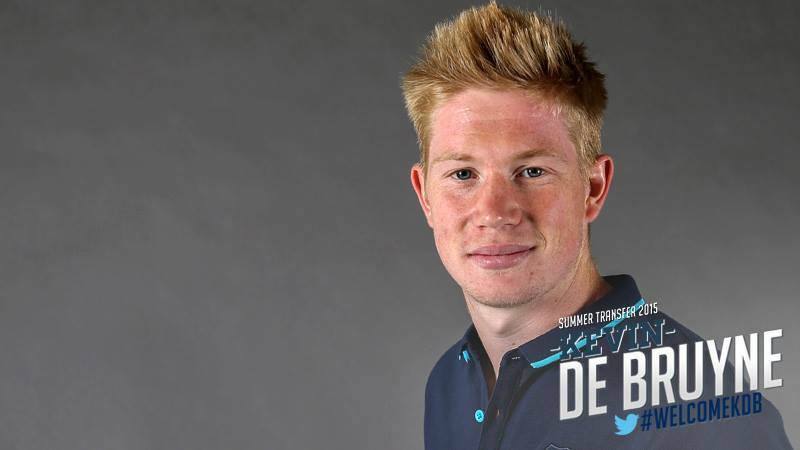 Well the De Bruyne (KDB) saga ended the way we wanted it to. Im so happy as a blue. The question is now getting these guys to play with one another. KDB didnt work out at stamford bridge because of mourinho's use of him. We all know pell and tixi want offensive football and KDB should hopefully prosper. Given his style i see navas' place in most threat, i think he and sterling will swap sides frequently. 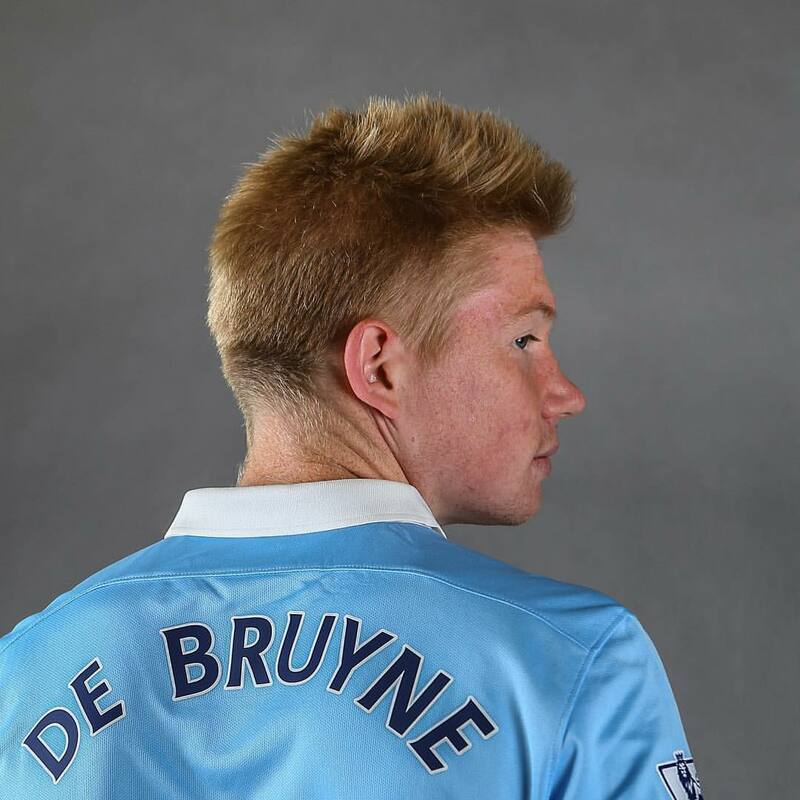 KDB could also interchange with Silva very easily. What an exciting prospect. Lets face it, KDB amd Raheem working out makes us major players. I have a feeling that will put us at the dining table of a potential Pogba move (assuming a good UCL/EPL) performances. The depth we now possess is as good as it can be. A word on Tixi. The close season post the 2012 title win was underwhelming weade some bad moves. But they were Marwood signings i thought - correct me if i am wrong but wasnt Tixi brought in after the window closed. Unsure what the date is - as i recall it was the aftermath of Gary Cook being removed. Nevertheless, he first summer was a relative success; negredo, demi, navas, fernandinho and jovetic. Negredo and jovetic have moved on for decent fees. Navas does his job (Pell trusts him) but they all together provided us with a great squad. FFP windows; mangala, fernando, sagna, Zucculini and bony. 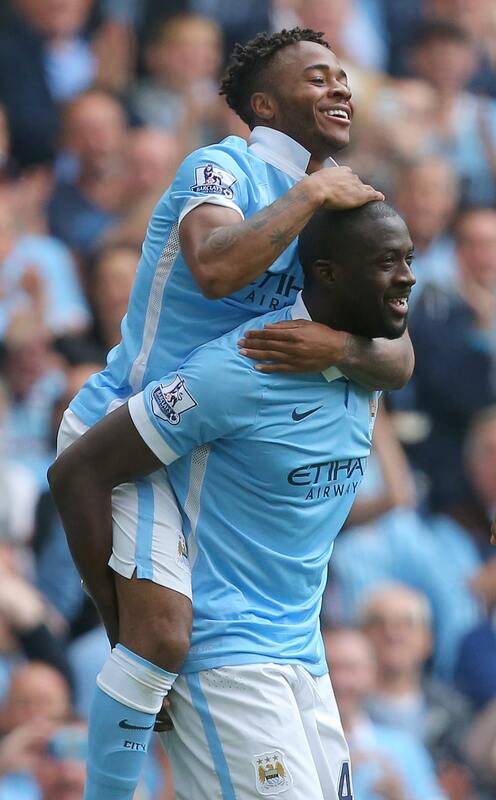 Mangala and sagna are effectively reborn in blue this season. Bony i think will come good, fernando is yet to convince and Zucculini i think we will see post christmas when injuries hot up. Notwithstanding this summer - i dont think Tixi has done that badly - but including this summer i think he bas done really well. I think now we will see one stmt signing a summer supplemented by EDS promotions. Finally, the manager, inspired to get pell committed for another three years. If he stays and assuming we grow with the same transctory (infamous word) i can see him leaving city with a great legacy. I love it when a plan comes together, special thanks to HRH Sheikh Mansour and Khaldoon your words were not hollow they were extremely filling. I think the feel good factor is back! Judging by your comments I think the feelgood factor is contagious ;-) It's certainly looking very positive and if MP wins the PL for a second time in three years and gets us to the QF or SF or dare I even dream it - further - then why on earth would we contemplate change, irrespective of Pep's availability. If Manuel can do the business (incidentally his contract is presently for this season and next) then I would definitely advocate we keep him as City's most successful ever manager. I could still see Pep coming to the Manchester area - obviously not the city of Manchester - but over at The Swamp, because LVG will be on his way if City win the title. No argument here GK - football pales in comparison to human tragedies unfolding around the world - complete no brainer. Once again I'm in total agreement there are certain areas of the world that have to be sorted out - but alas so much easier said than done. The root cause needs addressing so that people so desperate to flee their homelands, need not live in fear, terror or under a rule of oppression. Tiki has truly excelled himself this summer and brought in some absolute quality. A massive spend that's gone down well with Mr Wenger. Nice! It's not just the new signings but the whole squad seems re-energised as we've witnessed some outstanding team play after just four games - and that's without KBD! I too seem quite skeptical about Herr Rummenigge's recent comments. 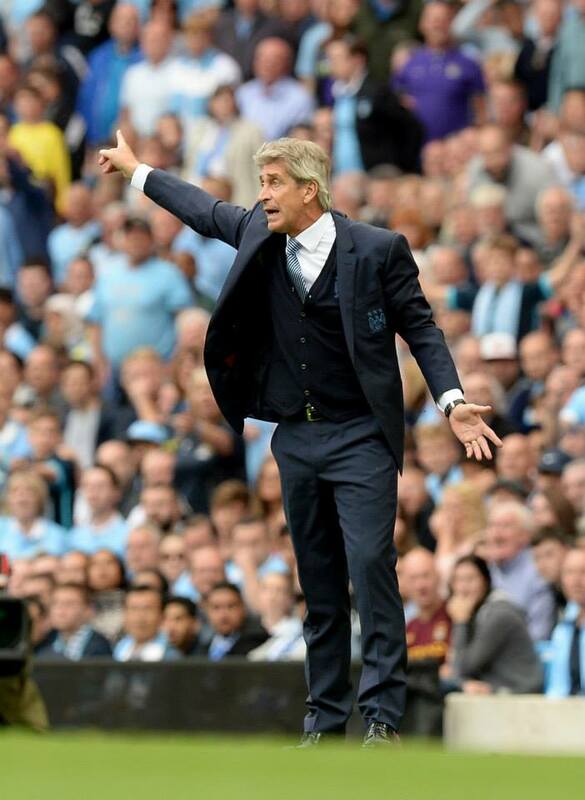 After all, this bloke was a prime string-puller in trying to chase City out of town with the big FFP stick. I'd like to think that after seeing what our owners investment has done for the club and community, KHR feels a tad bit guilty (if not ashamed) in light of all the prejudice and discrimination UEFA has thrown at us. That's probably wishful thinking though. It's of little consolation for City, but it's nice to see that legal pressure has forced the UEFA cartel to back down on FFP and open up owner investment, albeit grudgingly. Platini's excuse that that the first phase was just for austerity measures fools nobody. By blocking investment, these FFP rules breached EU law and blatantly shut-out competition - exactly what the debt-ridden entitled elite wanted. It's of some amusement to me, in that UEFAs attempts to nobble City with FFP, it ended up crippling all the major Italian clubs; a mess UEFA is now trying to undo. Anyway, FFP rant over. Can't wait for the PL to return. I'm also looking forward to the Champions league as well. Let's hope we get Bayern and it's sore-loser CEO in the group stages. Thanks for some excellent observations and feedback. Let's hope Jean-Louis Dupont is successful in finally nailing FFP and putting all the established European elite in their place once and for all. From City's perspective we just need the removal of the 'break even' clause which prevents an owner from spending beyond the profits and revenue streams of a club. In essence it stops Sheikh Mansour investing money - his own money in his own club/business - a ruling that is not in line with EU law. Where else would the owner of a company be told they cannot invest in their own organisation? I hope Platini and UEFA are forced to repay our £16.4m FFP fine PLUS let's explore punitive payments, since FFP has impaired City's ability to progress at a greater rate in the Champions League and, indeed, the Premier League. Regarding KHZ - yes, it has to be wishful thinking that he has seen the error of his ways, but personally I'm glad we don't have Bayern for a 4th time in 5 seasons - it was getting boring! That said, I have no qualms about knocking them out beyond the Group stages. Agreed David. I can see FFP being scrapped altogether - or at least significantly watered down - in the next three years. The break-even rule is going to be much less of a problem for City compared to most clubs, including Chelsea and Arsenal, so there will be little need for this when it puts the like of of Wenger and co at a competitive disadvantage. It will be interesting to see what the ECJ makes of FFP when it eventually gets there (after some serious delaying tactics by UEFA). I hope the rules are made proportional to the original objectives, i.e. sensible investment aligned to long term sustainability. Simple regulations, that if implemented correctly in the first place, could have avoided all this mess. As you state, we have a case for compensation as well - that will really infuriate and embarrass Platini. How this man can run for FIFA presidency is beyond me. Then again, he's probably perfectly qualified. Completely agree fella and loving the irony! Brilliant again Dave & yes I'm well happy with transfers & start to season hope we keep it going. But as you point out the critics are just waiting for us to fail but sod em. I was one of the many at the end of the season that thought Mp should go but maybe I was wrong time will tell. Just as others have pointed out at the moment there are some tragic things going on let's hope things get sorted sooner rather than later. Now where did I put that humble pie. Football is important in our lives but in the greater scheme of things it's nothing when human suffering, violence, terror and wickedness are placed on the table. Sadly, there will always be atrocities, evil and injustice in the world because mankind - as well as being the so-called most intelligent of the species - is also the one most capable of inflicting pain for no other reason than because it wishes to do so...for whatever motives. Obviously this is a football blog and, as much as I would love to influence international affairs and create a better world for everyone, this isn't the platform from which to do so. Thanks again Doug for your support - always appreciated. Really pleased with the start to the season and hope we come back from the international break in the same frame of mind against what could be a tough fixture at the high flying Eagles. In addition to the super start the transfer dealings have redeemed the hierarchy - Identify the players you want and ensure that you get them without any last day hassle and panic. man's inhumanity to man never ceases to amaze and disappoint. Palace will undoubtedly be a tough test - Pardew has done well since going to Selhurst Park. Yes, obviously a very pleasing transfer window and it'll be interesting to see if MP sticks with his winning team. One helluva bonus to have a bench that goes De Bruyne, Otamendi, Delph, Demichelis, Caballero, Nasri and Bony. A nice dilemma. Cheers RC.